Aahhh, the month of June. It brings us so many great things. We celebrate our treasured American flag on the 14th and all of our beloved fathers on the third Sunday in June. It’s the most popular month for couples to join in wedded bliss. And of course, it means the start of Summer, the most fun-filled season out of the year. On the Crystal Coast, the arrival of June doesn’t just mean the arrival of summer, but the most perfect weather of the year. June is the coolest and driest month of the season. And since it’s just the beginning of summer, Emerald Isle and the other surrounding communities are not as crowded, as some families have children still in school or prefer to vacation during the Fourth of July holiday. Several great Crystal Coast events and festivals also happen during the month of June. Heralded as “the Super Bowl of fishing tournaments”, the Big Rock Blue Marlin Tournament is held annually in Morehead City and draws more than 200 competitive fisherman and fisherwomen each year. There’s fun-filled activities for the whole family and proceeds from the event are given to charities. In the city of Swansboro, the second Saturday of June is reserved each year for the much-anticipated Swansboro Arts by the Sea Festival. Taking place downtown and right on the waterfront, this festival features arts and crafts, delicious food and wine, children’s entertainment and other fun activities. And finally in the town of Beaufort, you won’t wont to miss the Beaufort Old Homes and Gardens Tour. Enjoy walking or bus tours of private historical homes, buildings on the Beaufort Historic Site, gardens and churches, as well as an antique car show and concerts. To enjoy the beautiful weather and fun events and festivals, you’re going to need a place to stay. Take advantage of great savings by visiting during the earlier weeks in June, before the full summer rates take effect. We’ve compiled a list of some of our best rentals available for the month of June. Nonno’s Dream is a 5 bedroom/3 bathroom cottage located in private Beacon’s Reach in Pine Knoll Shores. Features include a beautiful oceanfront library/media room, gourmet kitchen, and elevator. Subdivision amenities include Oceanside pool and tennis courts. Salter Path Sanctuary is a 4 bedroom/3.5 bathroom cottage located in Indian Beach. Its features include 2 oceanfront master suites, wireless high speed Internet, and spacious decking with plenty of furniture and built-in seating. It’s situated in a private maritime forest with ocean views. Blue Waters is a luxurious oceanfront vacation home perfect for a rejuvenating ocean getaway with your friends and family! With elevator access to all floors, everyone can enjoy all 3300+ sq. ft. of living space and absolutely breathtaking ocean views, a game room and gourmet kitchen. Spend your time relaxing in the sand or on the poolside patio, taking walks on the beach, or viewing spectacular sunsets from one of this home’s many decks. 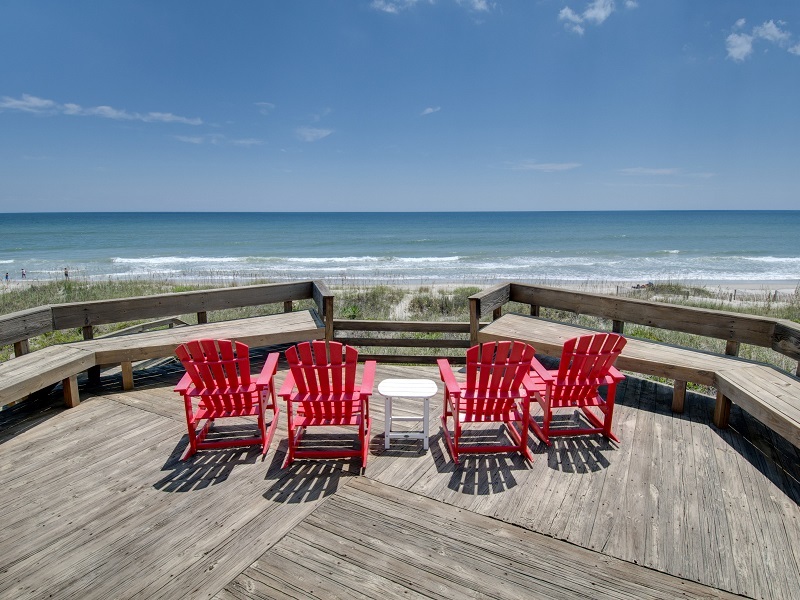 A Beautiful Thing West is a newly renovated oceanfront duplex in Emerald Isle with 3+ bedrooms and 3 bathrooms. Features include an updated gourmet kitchen, flat screen cable TVs, covered and open decks with furniture, and private boardwalk to the beach. 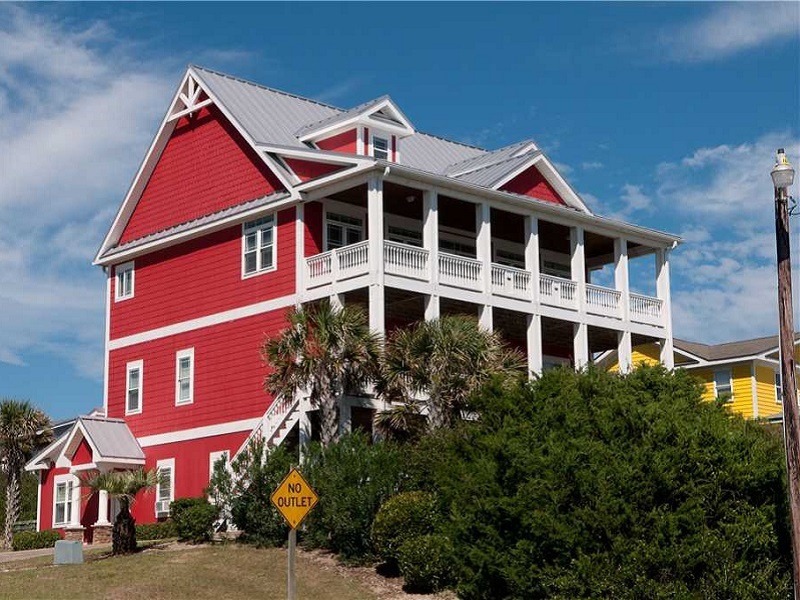 Bahama Breeze West is a spacious oceanfront duplex in Emerald Isle. It has 4 bedrooms each with private bathrooms, with an additional 1.5 bathrooms throughout. Other amenities include an oceanfront hot tub on each side, ground floor game room, large well appointed kitchen, cable TVs, covered and open decks on all levels with furniture, and gas grill. 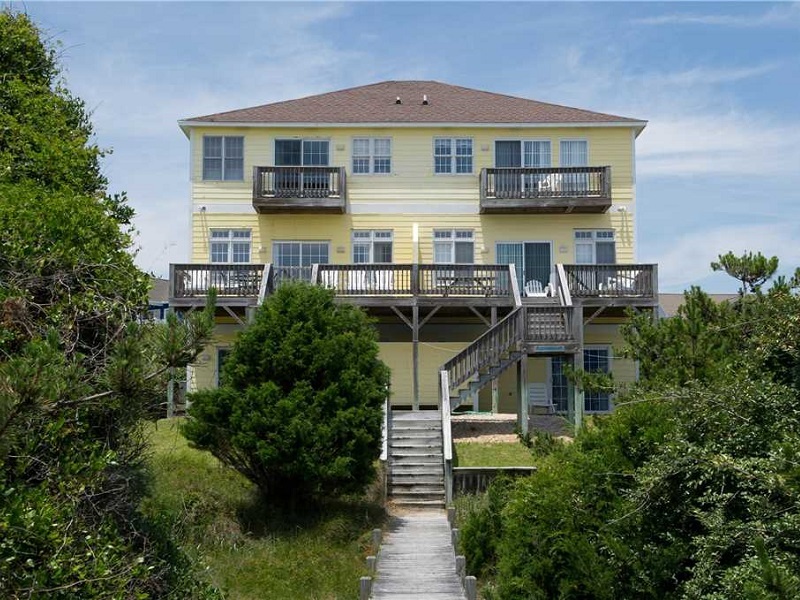 Just Beachy is a 5 bedroom/4 bathroom oceanfront duplex in Emerald Isle. Its features include cable TVs, wireless Internet, large dining table, porch furniture on bi-level decks, and grill. Located in exclusive Spinnaker’s Reach subdivision where amenities include neighborhood swimming pool with cabana and playground. A Penthouse View is a cozy second row cottage with 3 bedrooms and 2 bathrooms situated on an elevated lot with panoramic oceans views. Its amenities include 3 flat screen cable TVs, DVD players with Netflix, and ocean access right across the street. Red Snapper Club is an 8 bedroom/5 1/2 bathroom second row vacation home featuring beautiful ocean views, an oceanside swimming pool and large hot tub, an elevator to all levels, game room with foosball and pool tables, poolside grilling area, putting green and easy beach access directly across the street. Coasting is a spacious 4 bedroom/2 bathroom second row vacation rental featuring an oceanside swimming pool, 5 cable TVs, DVD player and wireless high speed Internet access, in addition to a large deck with porch furniture, picnic table, gas grill, outside shower and easy beach access. A Sound Escape is a beautiful soundfront cottage with 4 bedrooms and 2 bathrooms. It features a dishwasher, washer/dryer, flat screen cable TVs, wireless Internet, and deck with a multitude of porch furnishings. It even has its own private dock with fish cleaning station. Southern Malibu is a stunning cottage directly on the sound in Emerald Isle. The designer decorated home has 4 bedrooms, 4.5 baths, and loads of amenities. Enjoy spacious soundfront suites, a custom gourmet kitchen, numerous flat screen TVs, private dock, heated swimming pool, and a game room with pool table. 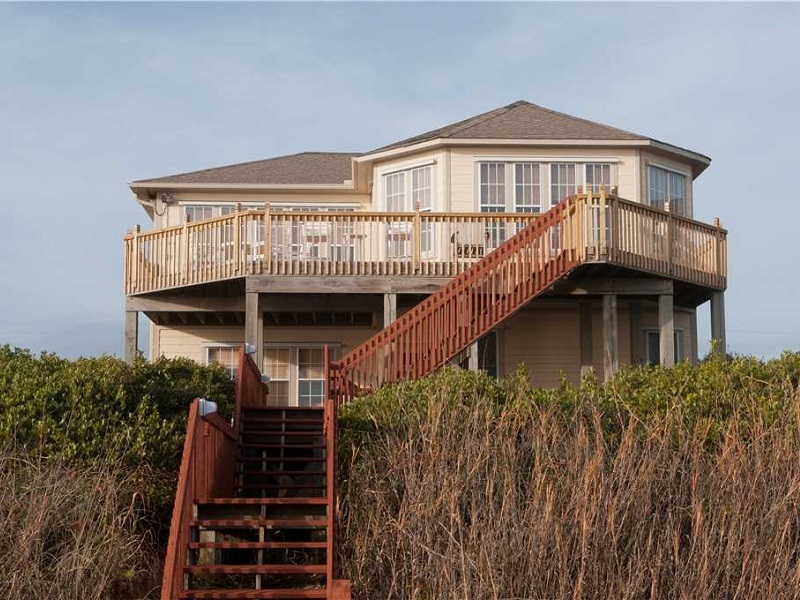 Bay Breeze is a soundfront cottage in Emerald Isle with 5 bedrooms and 5.5 baths. Architecturally designed and professionally decorated, its features include, private pool, spacious suites with private baths, elevator, multiple flat screen TVs, game room with pool table, private study, covered and open decks with furniture, and a private 300 ft. pier. 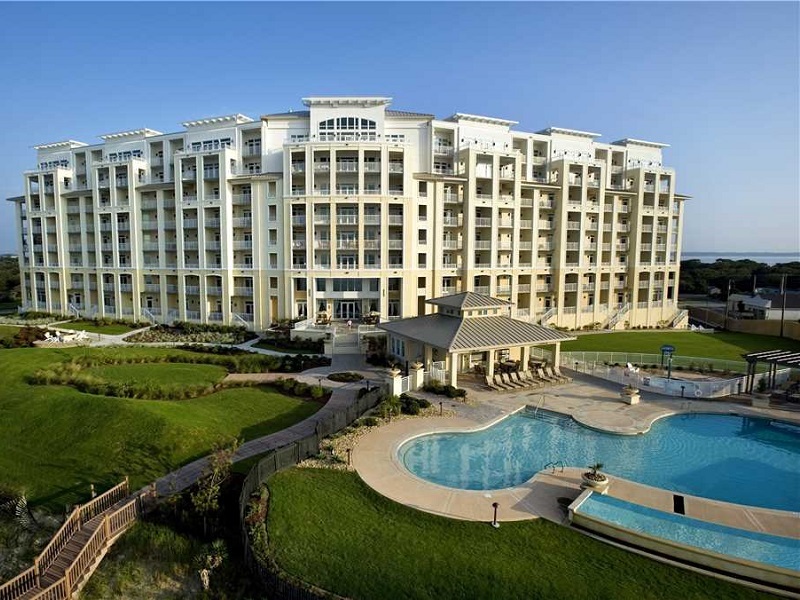 Grande Villas in Indian Beach has several oceanfront condos to suit your needs. Choose from 2-4 bedroom villas or even a top-floor penthouse. Villas feature multiple bathrooms, master suites with oceanfront terraces, linen service, custom kitchens, and flat screen TVs. Property amenities include Grande Pool, nature preserve, Club Lounge, state of the art health and fitness center, sport and games lounge, fire pit, and more. Ocean Club at Indian Beach is one of the Crystal Coast’s finest resorts. Take your pick from one of several available oceanside and soundside 3 bedroom well-equipped condos. The resort features two outdoor swimming pools and hot tubs, children’s pool, grilling area, plus access to the world class onsite spa. 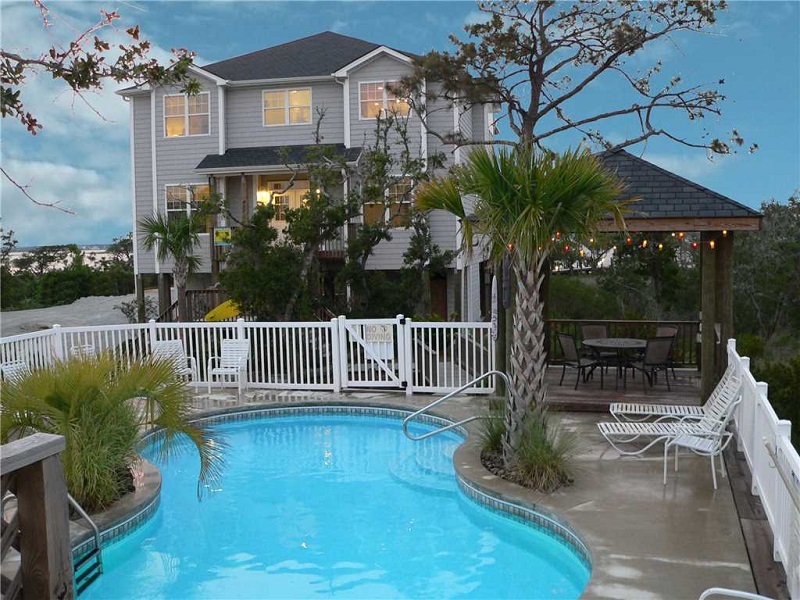 Ocean Reef condominium property in Emerald Isle is a private community featuring several 2 bedroom residences with amenities such as linen service, flat screen cable TVs, wet bar, jacuzzi, and deck with porch furniture. Guests have access to The Country Club with golf, tennis, swimming, and dining. So now we’ve briefed you on all the great reasons to visit the Crystal Coast in June. Plus, we’ve highlighted so many great vacation rental options for you to choose from. But don’t delay your Emerald isle vacation as these properties are booking up quickly! Book your next vacation rental with Emerald Isle Realty today!